In our world, the U.S.S.R. fell, ending the Cold War and depriving the entire creative industry of a worthwhile bad guy. However, the proletariat still hopes for revolution, and Christian Gossett delivered with his series of graphic novels, called The Red Star. 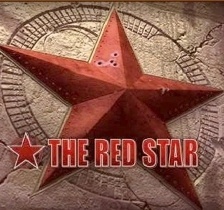 The world of The Red Star draws heavily from Soviet history and myth, with more than a hint of magic, as the United Republics of the Red Star command kilometers-long airships over the skies of Al'Istaan, but sorcerers and summoners can be far more dangerous than the mujahideen the U.S.S.R. faced. 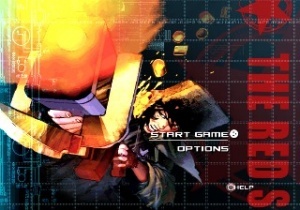 A videogame based on The Red Star was announced and swiftly disappeared with the demise of Acclaim, but publisher XS Games picked it up and snuck it out in March, three years after its intended release. Not only is the result a budget-priced action game with an interesting setting, it's a budget-priced action game with an interesting setting that's packed full of philosophical and Zoolander references. I had the good fortune to speak with Gossett about himself, the world of The Red Star and the troubled history of his game. The Escapist: Would you mind introducing yourself? Where would we have encountered your work? Christian Gossett: The most recognizable concept would be the double-edged lightsaber. In 1993 I was hired by Lucasfilm licensing and Dark Horse Comics to be among the first artists to design the look of the "Old Republic" for a series of graphic novels called Tales of the Jedi. Barely in my 20s, I attacked the work with the passion of a zealot. I submitted many designs for approval, including a range of radically different lightsabers to Lucasfilm (as is normal for such a contract); there was, in addition to the double-edged saber a curved-handled saber, a pole-arm style lightsaber and other force-based weapons. These concepts were submitted to George in 1993, and fortunately for me he liked them (I still have the fax that brought this good news). The double-sabre concept sketch was published in Sci-Fi Universe magazine in 1994 and also in Wired magazine in 2000. There are lots of videogame, film and comics projects since then. I also had the good fortune to work with the Weta Workshop on Peter Jackson's King Kong. TE: For readers who are unfamiliar with the Red Star series, would you mind giving a brief overview of the story/mythology? CG: The Red Star is a world much like our own, except that Military Industrial Sorcery has made the armies of the many different nations capable of incredible destruction. Every soldier is a trained sorcerer, armed with weaponry engineered to amplify their power. Unlike other magical or fantastic realms, The Red Star uses modern military tactics to inform the way that this weaponry is brought to bear. Their assault rifles, for example, are linked to distant ammunition stores, meaning that infantry can travel light, but still pour impenetrable waves of sustained fire. 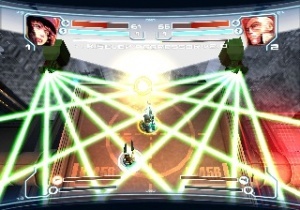 Teleport gates are used for deployment, and dominating the skies are flying fortresses, two-miles long, that can raze cities with a single command. The dark secret of this world is the source of this godlike power: The Imprisoned Afterlife. The leaders of the world's nations have discovered the secret of containing the souls of the dead and transforming these souls into a new form of energy. Unknown by the majority of humankind, the death of every human being means the imprisonment of another soul, and therefore the birth of another unit of Post Human Energy or PHE. PHE, human souls, are the source unit of Military Industrial Sorcery, as well as the foundation of the true world economy. The spirit world has been transformed into a damnation of mankind's own design. The Heroes of The Red Star have discovered this secret and have taken it upon themselves to descend into the Imprisoned Afterlife, lay siege to its prison fortresses and liberate the souls of their ancestors. TE: Soviet/Russian history with fantasy elements isn't a genre you see often. What about it appealed to you? Was it just that no one had done it before, or was there something there that really spoke to you? CG: Definitely both. God of War is another good example of how to take a great ancient mythology and adapt it to modern heroic fiction as a videogame. When I first started to develop The Red Star in 1994, I built on the idea of having a strong foundation: I would create a "Mythic Russia." Using human history/mythology as a basis helps one greatly when mapping out a game world. God of War is an enjoyable series for many reasons, and one of these is the fact that the development team has a wealth of information to draw from as they're building their levels. TE: How did you build the world of The Red Star? 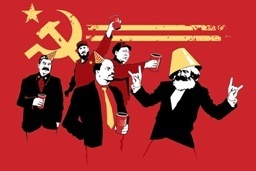 Did you just take Soviet/Russian history as a jumping off point, or were you looking at some other influences and sources? CG: The Red Star was built from my enthusiasm for military history in general, the history of Russia, epic heroic fiction across all media, Japanese animation and videogames. TE: Who do you think The Red Star appeals to? Who would like the series/comic/world? CG: I couldn't say, really ... I did my best to make it as universal a story as possible. About Love and Death, War and Peace, Obedience and Freedom. I'm very happy that we've been translated into seven languages so far, and that readers all over the world have contacted us to encourage us to keep going. TE: Tell us about the game. Where does it fit into the storyline? Is it a spin-off/separate episode or is it a recognizable piece of the main story? How good of an introduction would it be to the world? CG: It's a great introduction to the world; but at the same time it is a world that could be realized in so many different styles. I really like the LEGO style Star Wars games, because of the philosophy of not taking a world so seriously that it has to look the same way every single time. TE: From what I'm reading, there's been some problems with getting the game out. It was with Acclaim for a while, then they ran into problems, then XS Games picked it up. Does all that bother you, or is it just the perils of doing business? CG: It did bother me at first; it was a good game and having worked closely with the development team in Austin, I didn't want their work to be for nothing. I had a choice. Surrender or Fight Like Hell. So I fought like hell. I found some powerful representatives in my manager, Ken Levin, as well as Rich Liebowitz of Union Entertainment in Los Angeles. Together, and with the help of my friends in the industry, like Jamil Moledina of the GDC, Dave Halverson at Play Magazine and many other outspoken members of the game press, we kept awareness of the game alive. Then, suddenly, it stopped bothering me. I realized that even if the game never came out, I was going to approach this as a unique business course in bankruptcy, negotiation and old fashioned salesmanship. If I passed the test, then the game would survive. But how much time did I have? I had no idea, but I can say this: It is a testament to the skill and dedication of the development team that this game was supposed to be released in 2004 and that it is still being so well-received three years later. TE: How much experience did you have with the gaming industry prior to the Red Star game? Was there anything that really surprised you? How does it compare with comics and other industries you've worked in? CG: I've worked in games since PS1. I started at Activision in 1996. The Red Star was my first time as licensor, though, which was a nice change. I like being at the decision making level. Having worked my way up from a drawing table doing character designs and environment sketches, it was great to have open access to all of the different teams. As for surprises? Well, my personal staff was really on the ball the whole time. Not even Acclaim kicking the bucket two weeks before release was much of a surprise. TE: Do you have any plans for future expansion of the Red Star storyline? Will it just be comics and the videogame, or are you developing it for other mediums? CG: The Red Star currently has three different graphic novels available on the market, and a few shorter special issues. I'm currently writing and drawing the next chapter, which has the distinction of being a collaboration with the world famous Weta Workshop New Zealand, the designers who did such an excellent job designing the Lord of the Rings films. Other than the series, we're currently in early development as a live action feature with Universal.